And Another Thing...: Fred Astaire...What Else Can I Say? Fred Astaire...What Else Can I Say? Over the winter holidays, we have a movie tradition. Your family probably has a bunch of old chestnuts you watch for variou reasons. For me,"It's a Wonderful Life" is a must because it always makes me cry. And my son and I usually watch the entire extended version of Peter Jackson's epic "Lord of the Rings." Just because. This year, I pulled out an old VHS copy of "Holiday Inn," with Fred Astaire and Bing Crosby. They play New York song and dance men, hoofing up a storm until Bing decides he's had it with show business. He buys a New England farm, where he plans to settle down with the third member of the act, a comely dancer. Surprise, that doesn't work out. Bing is stuck on the farm with no visible means of support. Until he decides to transform his adorable farmhouse into a nightclub. A nightclub that's only open on holidays. The plot has a few more twists: boy and girl meet cute, girl leaves, girl returns. It also has a classic score by Irving Berlin. But what really transforms "Holiday Inn" is Fred Astaire's dancing. I have loved Fred Astaire since girlhood. Even when he's paired with a woman who's as technically adept as him, Fred tends to steal the spotlight. It's not that he's particularly handsome, because he's not. It's the way he moves. 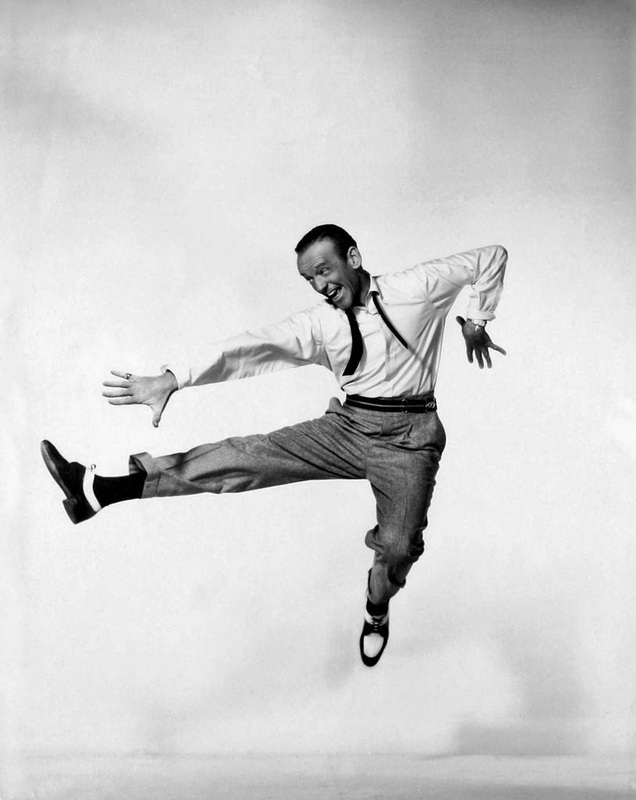 .Fred Astaire in "Holiday Inn"
Fred Astaire was an effortless dancer who is really entertaining to watch. Seeing his movies are a great way of enjoying holidays. Watching movies together is one of the best ideas to enjoy a holiday indoors. The dance moves of Fred Astaire are a thrill to watch.